Texas Dental Specialists is the winner of the 2011 Consumer’s Choice Award for Cosmetic Dentistry in Dallas-Ft Worth. 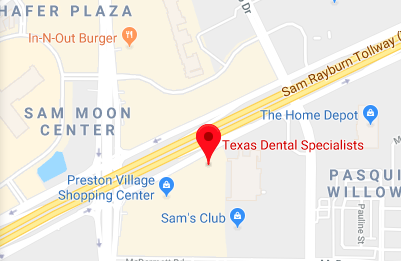 Plano dentists Dr. Christopher Cassidy serves the Plano, Frisco, Allen, Dallas, and surrounding areas offering cosmetic and general dentistry services, plus orthodontics, Periodontics, and Children’s dentistry. Dr. Cassidy provides exceptional and compassionate dental care at Texas Dental Specialists. Jennifer Duncan-Vicente graduated from hygiene school in 2006 in Tyler, TX. She has a smile as big as Texas, and a laugh that can be heard for miles. She has a passion for your oral health, and keeps your smile looking like a million bucks. Jennifer takes extra care to ensure your teeth are bright, beautiful and healthy. Jennifer resides in Little Elm with her husband John, and her son Cruz. On the weekends, Jennifer loves to cheer for Barcelona soccer with her boys! Dawn is Dr. Cassidy’s right hand girl. She has been dental assisting for over 25 years. She assists Dr. Cassidy during each and every procedure. Rest assured, Dawn will put you right at ease in the dental chair. No matter what dental concerns your may have, Dawn will be right by your side to make sure you are comfortable along the way. She makes you feel just like family! Dawn lives in McKinney with her husband. Dawn and her husband love to travel, especially to the beach! Della will always greet you with a smile at every appointment. She is the first person you will meet when you arrive at Texas Dental Specialists! Della has worked in dentistry for over 12 years as an RDA and Office Manager. She takes pride in providing world class customer service. Della resides in Prosper, TX with her husband and three girls. She loves historical novels, and spending time outdoors with her family. Nawal Aamir… Future dentist! Nawal helps us answer phones and book appointments. She is currently learning the business side of dentistry to run her future practice. She is off to dental school in June, but for now she is here to help book your visit and will greet you when you arrive to your visit!